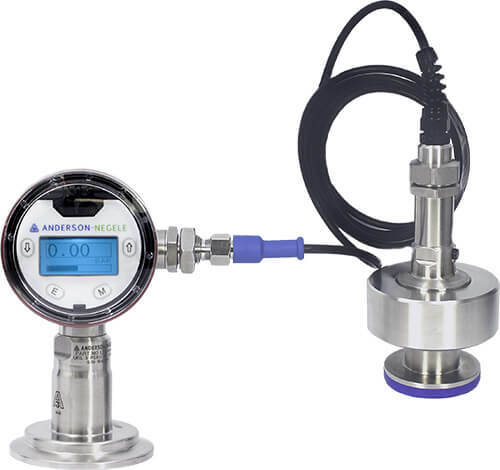 The Anderson-Negele D3 Differential Pressure and Level Transmitter is the most complete electronic differential transmitter with best-in-class performance and dual mA output. It uses the proven state-of-the-art temperature compensation technology of L3 and significantly reduces the effects of process and ambient temperature changes. The diff mA output can be scaled to volumetric values like gallons and lbs. 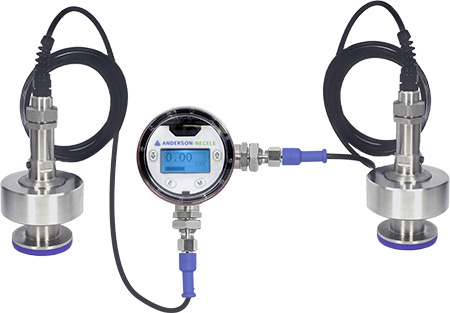 and the second mA output can be used to monitor the top (head) pressure or the bottom (total system) pressure. While the sensor comes ready for installation right out-of-the-box, the simple graphical interface makes field setup and programming very easy. 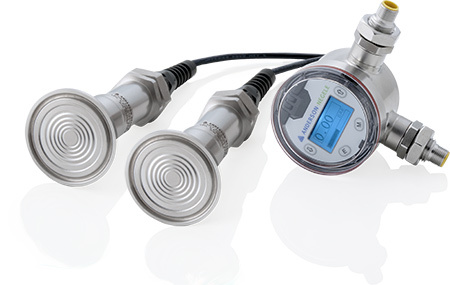 The D3 transmitter display can be direct mounted to either of the two sensors or can be mounted remotely for easy access. The new D3 is your go-to transmitter for any level applications where pressure and/or vacuum conditions exist.